Does Your Attire and the Way You Speak Matter? We often express who we are by our behavior, including what we wear and how we speak. Sometimes, however, these expressions of our individuality go against our employers' rules or workplace norms. Whether through official or unofficial policy, our employers may expect us to dress or speak a certain way, or more likely, to avoid what they consider inappropriate behavior. Not everyone agrees that one should conform to their employer's expectations. The ability to be themselves everywhere, including at work, regardless of what others think, is a value they hold dear. These people aren't wrong, but the belief that an employer shouldn't have a say over inappropriate behavior could be. Do you like to express yourself through your attire? If your employer has a dress code, it is essential to follow it. It is also necessary to wear clothing that is considered right for your industry. Adding your individual style to that is usually okay, but flouting the rules or norms is not. It could send a message to your boss, coworkers, and customers that you don't take your work seriously. Examples of attire that could be considered inappropriate for work may include clothing that is too casual (leggings and sweatpants, shorts, and ripped jeans), show too much skin, or is unkempt. Some may consider this unfair but whether it is or isn't is irrelevant. When there are rules, you must follow them, or work to change them. If expressing yourself through your clothing style is extremely important to you, rather than bristling under the restrictions of what may be too conservative a work environment for your tastes, instead look for a job that allows you to wear the type of attire you desire. It is, in fact, one of the factors you should consider when choosing an occupation or evaluating a job offer. Some types of clothing are inappropriate for particular work environments and occupations but are perfectly fine for others. 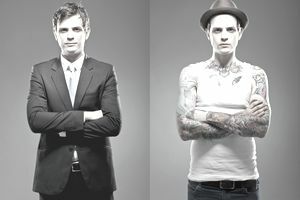 For instance, an associate in an accounting firm wearing a tank top that shows off his tattoos would stand out like a sore thumb, but a graphic artist working in an advertising agency who dresses similarly would probably fit right in. Many employers consider using profanity in the workplace inappropriate behavior. While cursing has become somewhat commonplace in today's society, they form negative opinions of anyone who regularly drops the "F-bomb" or other swear words at work. They think it shows a lack of professionalism. Even employers who aren't offended may worry their customers and clients will be. The effect on their bottom line is enough to make them want to put a stop to the behavior or get rid of the offender. If your boss is among them, self-censorship is necessary. Disregarding your employer's concerns could affect your ability to advance or hold onto your job. You may also have coworkers who cringe when they hear foul language. In social situations, they can choose to stay away from someone who uses foul language, but at work, they are a captive audience. Try your best to avoid behaviors that annoy coworkers. A harmonious work environment is more important than being able to use profanities on the job.